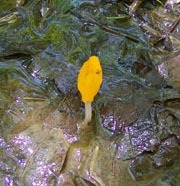 Leotia lubrica: Common name Jelly Belly. This cute thing is hard to find. Maximum height is less than an inch. Location: Bull Run Mt Conservancy, VA.
Vibressia truncorum: Water Club. Very small. Location: Prince William National Park, VA. Photo by Ken Clark. 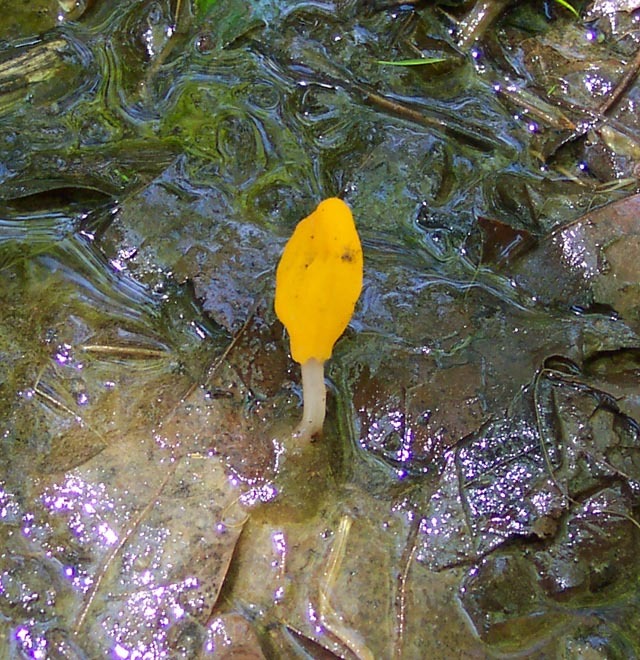 Mitrula paludosa - Swamp Beacon: As the name implies, found in swamps and other wet places. May reach a little over 1 inch in height. Location: Mountain Side Tr, Canaan Mt, MNF, WV. 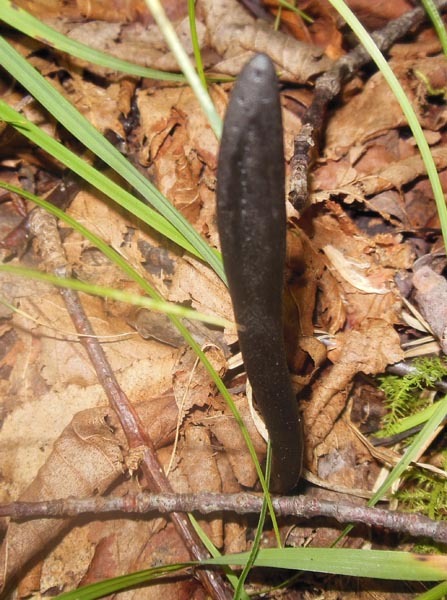 Trichoglossum hirsutum: Velvety Black Earth Tongue. 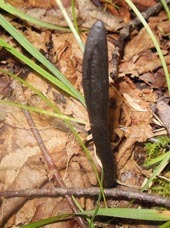 Found in woodlands throughout our area. Photo by Dave Bennick.